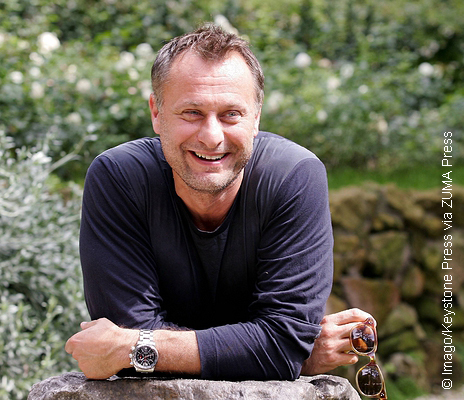 Michael Nyqvist , the actor best known for films including the original Swedish version of The Girl With the Dragon Tattoo series and John Wick, has sadly passed away at the age of 56. His rep released a statement detailing that the famous Swedish actor passed away Tuesday (June 28) after a battle with lung cancer: "On behalf of Michael Nyqvist's representatives and family, it is with deep sadness that I can confirm that our beloved Michael, one of Sweden's most respected and accomplished actors, has passed away quietly surrounded by family after a year long battle with lung cancer. Michael's joy and passion were infectious to those who knew and loved him. His charm and charisma were undeniable, and his love for the arts was felt by all who had the pleasure of working with him." In addition to being a well-versed actor, Nyqvist was an accomplished writer as well, publishing his own autobiographical memoir titled Just After Dreaming. The book detailed memories he had of his youth after being adopted as a baby and then growing up to find his birth parents at the age of 30. Gerard Butler, Nyqvist's friend and co-star in the action film Hunter Killer, posted a touching tribute to the late actor on his Instagram in which he calls Nyqvist "...one of my favorites, if not my favorite, in terms of somebody who just had such incredible talent and childlike qualities and playfulness. But more than anything, just incredible humility and warmth and this cheeky kind of glint in his eyes." You can watch Gerard's entire tribute below. Sending my condolences to Michael Nyqvist and his family. Incredibly talented and an extraordinary human being. My heart is broken. Sorry to hear that. He was a great actor. Could everyone stop smoking now? I just realized the other day that Michael Landon was only 54 when he died of cancer - after smoking 4 packs a day!